This information is offered for informational purposes only. It is not meant to be used for diagnosis, nor is it intended to be medical advice. MYTH:Children and adults with autism spectrum disorders do not care about others. FACT: Children and adults with an ASD often care deeply but lack the ability to spontaneously develop empathic and socially connected typical behavior. MYTH: Children and adults with autism spectrum disorders prefer to be alone. FACT: Many people with autism spectrum disorders are being successful living and working and are contributing to the well being of others in their communities. This is most likely to happen when appropriate services are delivered during the child's free, appropriate, public education years. FACT: Autism spectrum disorders are not degenerative. Children and adults with autism should continuously improve. * They are most likely to improve with specialized, individualized services and opportunities for supported inclusion. If they are not improving, make changes in service delivery. MYTH: Autism spectrum disorders do not run in families. FACT: More families are experiencing multiple members with an ASD than ever before. In some families, parents with an ASD were misdiagnosed or never diagnosed. In some families, many or all siblings are in the autism spectrum. Most often, one child with autism is born into families who do not have other family members with an autism spectrum disorder. MYTH: All people with an autism spectrum disorder have "savant skills", like Dustin Hoffman's character in "Rain Man". FACT: Most people with autism spectrum disorders do not have any special savant skills. Some have "splinter skills", areas of high performance that are not consistent with other skill levels. MYTH: It is better to "wait and see" if a child does better rather than refer the child for a diagnostic assessment. FACT: The earlier autism spectrum disorders are diagnosed and treated, the better. Outcomes for children's lives are significantly improved with early diagnosis and treatment. When in doubt, refer, do not wait. MYTH: Autism spectrum disorders are something to be hidden. Other students should not know about the presence of an ASD in a classmate. If you do not tell the other children, they will not know that something is "wrong" with the student with an ASD. MYTH: Certain intensive, behavioral based programs "cure" autism spectrum disorders if they are delivered at the right age and intensity. FACT: There is no cure for autism spectrum disorders. Early behavior-based interventions have positive effects on some children with autism and less note-worthy effects on other children. Early services need to be based on individual children's needs and learning styles, not based on programs being sold as "cures" for every child with ASD. Services for adults with the features of autism need to be carefully individualized to the adult. <pFACT: Children and adults with autism spectrum disorders may speak and/or interact with others. They may have good eye contact. They may be verbal or non-verbal. They may be very bright, of average intelligence or have cognitive deficits. MYTH: The best place to educate a child or adult with an autism spectrum disorder is in a separate program designed for children or adults with autism. MYTH: If you have an autism disorder, you will not have any other disorder. FACT: Autism Spectrum Disorders can co-occur with any other disorders. It is common to find a person with ASD who also has any of the following: Down Syndrome, cerebral palsy, cognitive impairments, deafness, blindness, and medical or seizure disorders. MYTH: It is very hard to know if a person with other disabilities has an autism spectrum disorder. FACT: Autism is identified by looking at the behavior of the individual. If the individual displays characteristics of autism, across settings they may qualify for special education services, or may receive a medical diagnosis of autism. If you have concerns about autism please contact your school district and ask for an assessment should be completed. Restricted, repetitive and stereotypic patterns of interests, behavior and activities. Onset of these features early in life usually by age 4. Autism shall mean a developmental disability which significantly affects verbal and nonverbal communication and social interaction, generally evident before the age of three, that adversely affects educational performance. Other characteristics often associated with autism are engagement in repetitive activities and stereotyped movements, resistance to environmental change or change in daily routines, and unusual responses to sensory experiences. The term does not include children with characteristics of the disability category "behavioral disorder." 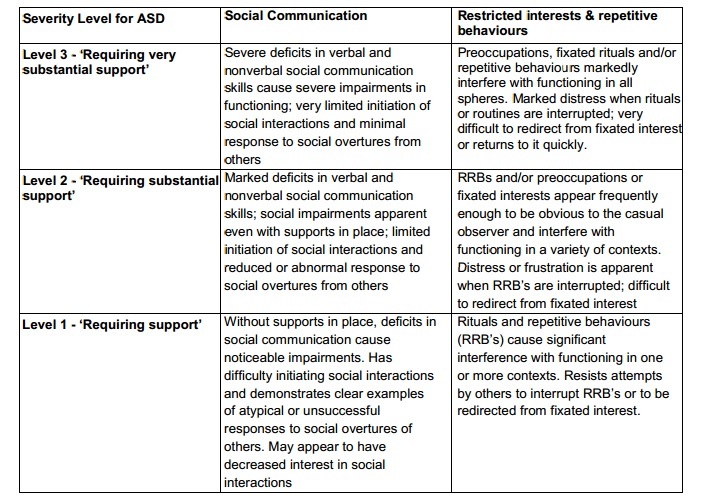 ASD is a lifelong neurodevelopment disability recognized by the manifestation of behavioral characteristics across multiple areas of functioning. Characteristics are observed, to varying degrees, in social relatedness, communication, pattern and range of interests, and sensory responsiveness. These characteristics are generally evident during the child's early years. In Nebraska Rule 51, the definition of ASD is sufficiently broad to include those children exhibiting a range of characteristics related to ASD. In 1943, Dr. Leo Kanner published a paper describing a group of I I children who were similar to each other, but quite different from any other group of children diagnosed with childhood disorders. Kanner's description of these children included their inability to develop relationships with people, delay or absence of speech, and, in many cases, compulsiveness in their need for sameness and routine. He also noted some repetitive or stereotyped behaviors and an overall lack of imaginative play. Kanner described the children in his report as having a generally normal physical appearance, but recorded a few abnormalities evident during infancy, including unresponsiveness when held. 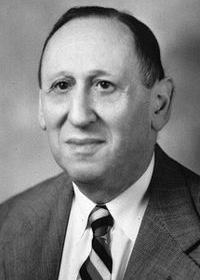 The criteria used in diagnosing and verifying autism today are remarkably similar to those first described by Dr. Kanner. Because this population of individuals was very isolated and aloof, Kanner used the term "autism" to describe them; autism means "self." Kanner theorized that some of the characteristics of autism were manifested from birth or early infancy and, thus, labeled the disability "early infantile autism". As early as 1911, Eugene Bleuler had used the term "autism" to describe a symptom of schizophrenia, because of the social relatedness deficit that is characteristic of schizophrenia. (Bleuler's study as cited in Rutter, 1979). Unfortunately, the association between autism and schizophrenia remained for many years. After Kanner's first report, the search for a cause stimulated the development of many theories, most of which were later discarded. While Kanner held that the disorder was present at birth, he also thought the disorder could be improved or worsened by environmental influences. As late as 1967, Bruno Bettleheim proposed that parents' extremely negative feelings directed at the infant and lack of nurturance and love caused the child to retreat into his/her own world. (Bettleheim's study as cited in Cantwell, Baker, & Rutter, 1979). Although this hypothesis has since been disproved by research, many parents experienced unnecessary guilt and anguish for many years as a result of this theory. understand and respond appropriately to sensory stimuli--pain, hearing, taste, etc. To qualify for special education services in the category of autism the child must have a developmental disability which significantly affects verbal and non-verbal communication and social interaction, is generally evident before age three, and that affect the child's educational performance. Other characteristics often associated with autism are engagement in repetitive activities and stereotyped movements, resistance to environmental change or changes in daily routines, and unusual response to sensory experiences. Autism does not apply if a child's educational performance is adversely affected primarily because the child has a behavior disorder as defined in 92 NAC 51-006.04C. A child who manifests the characteristics of autism after age three could be identified as having autism if the other criteria in 92 NAC 51-006.04B1 are met. Autism Society of America. (1999). Shaping our Future: Educating Children with Autism, pp.8-9. National Research Council (2001). Educating Children with Autism. Committee on Educational Interventions for Children with Autism. Catherine Lord and James P. McGee, eds. Division of Behavioral and Social Sciences and Education. Washington, DC: National Academy Press. Nebraska Department of Education. (May, 2010). Nebraska Administrative Code (92 NAC 51, Title 92) (Rev. ed.). Special Education Advisory Council Ad Hoc Committee on Autism Spectrum Disorders. (May 2008). Verification Guidelines for Children with Disabilities. Lincoln, NE: Nebraska Department of Education.